Australia produces a surprisingly high amount of waste products. One of the biggest culprits for this waste and rubbish production is in the very heart of its major cities. Blacktown has been suffering a build-up of waste and rubbish for many years. For a long time, the problem was ignored or just overlooked. While councils and city leaders are doing their best to help, sometimes these things are just not enough. Often, a business owner or manager needs help from the professionals. If you own or run a business operation in Blacktown such as a café, a restaurant or any other type of business, it is likely that it produces a regular flow of junk. Our rubbish removal Blacktown team got you covered! Life in Blacktown can be exciting if you live there in a flat or small sized residence. But rubbish can quickly mount up and cause a problem. Units and flats are not big enough to contain significant quantities of garbage. Clutter in a small apartment in Blacktown can become a huge issue. Getting the rubbish removed promptly is not always easy. But we can help. Get in touch, and we will come to your rescue. Get your flat or unit cleared fast at a low cost with us. Rubbish removal Blacktown is right up our alley. There is nothing worse than trying to run an active business in the busy heart of a major city like Sydney, only to find you have a significant waste problem. A build-up of junk and clutter can get in the way. You may want to push your business to the next level. You may be on top in your industry and not wanting clutter and waste issues to accumulate and slow down your efforts. Dealing with it yourself can be time-consuming. It could also distract you from focusing on the more essential tasks of running your business. There are many types of businesses located in Blacktown today. The variety is too numerous to list. While they all add to the flavour of the city, many of them find themselves becoming cluttered with their leftover waste products. They want these waste items taken away, but they are often unable to get them removed on time by the efforts of the Sydney Council. Food Outlets Matter to Us. Cafes and restaurants, in particular, have customers and staff that need to be the primary focus of management. The last thing a café or other food and beverage spot needs is piles of unsightly or even odorous litter about the place. The person in charge of a busy Sydney based business should not have to take time out to manage the removal of piles of built up junk and waste products. In these situations, it is always best and wisest to call in professionals to take care of things for you. That way you can get rid of the waste fast so you can focus your energy on bigger and better things. And this is where the efficient & quick team from Rubbish Removal Sydney can help you. True Expertise in Rubbish Removal. We know there are many challenges involved in navigating Blacktown area. But we know the roads and the streets. Our team are well trained and on the ball at all times. Quick Rubbish Removals has the right people in the right vehicles and equipment for getting in and gaining access to any part of Blacktown and carrying out rubbish removal in Blacktown area the way you want it done and when you want it done. We promise to do everything in our power not to disrupt or interrupt your business operations. The answer is clear. 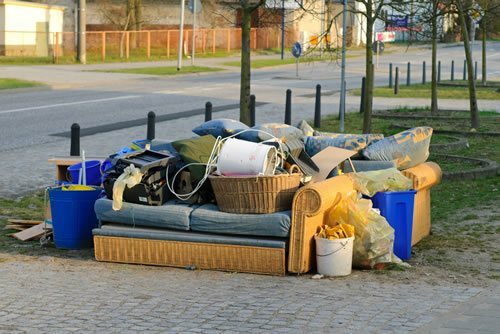 For all of your rubbish removal, Blacktown problems call Quick Rubbish Removals or email us today. Just call us and book our team on 1300 558 567. Alternatively, if you prefer to reserve us by email, drop us a quick message, and we’ll get back to you fast. Our email address is info@quickrubbishremovals.com.au.